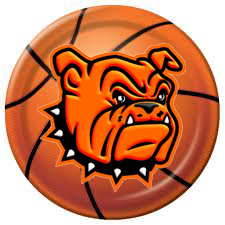 Lady Bulldog head basketball coach Jeff Houghtaling didn’t quite know what to expect from his athletes heading into their 2018-19 season opener Tuesday in Santa Teresa. That tends to happen when a team has only had six days of practice. “We definitely hadn’t had much time to practice since the official start date Nov. 19,” Houghtaling said today. “I feel like we’re behind where we usually are at this point, since the season usually starts Nov. 1. But the lack of court time didn’t seem to hinder the girls in orange in any significant way Tuesday, as they cruised to a 56-14 victory over Santa Teresa, which was also competing in its inaugural contest. “The good thing about it was that Santa Teresa was in the same boat as us,” said Houghtaling. “Everybody was. Nobody had a lot of time to practice if they played last night. Without knowing exactly what he had, either, the opener provided some much-needed information to the coach and his staff. “Obviously, we aren’t where we’re going to be, but it wasn’t bad for a first game,” Houghtaling said. “There were some things I felt like we did really well and then some things I really didn’t expect us to do. We didn’t have a lot of turnovers, but we had three or four that were just completely unforced, and I didn’t expect some of our experienced girls to do that. The Lady ‘Dogs jumped out to an 18-0 lead over the Lady Desert Warriors in the first eight minutes Tuesday and tacked 20 more to their total by the half to carry a 38-12 advantage into the locker room. With Kyrah Gonzales and Brehnan Davis draining threes and Paityn Houghtaling controlling the paint, the Lady Bulldogs were able to put the 35-point mercy-rule clock in motion prior to the fourth quarter, which shortened the final eight minutes of play. That also allowed Artesia to work its subs into the action as they rounded out their 56-14 win. “We still have a lot of wrinkles, and the dynamics of the lineups are probably going to change a little bit,” said Coach Houghtaling. “It’s hard to say who’s going to be the starters night in and night out at this point, but I guess that’s a good problem to have. There’s enough depth that we can mix that up and find out who plays well together and who doesn’t. Seniors Houghtaling and Gonzales led the Lady ‘Dogs in scoring on the evening with 16 and 15 points respectively. “Those two kids have been playing since they were freshmen, so they kind of did what they were supposed to, which was take care of the ball and do a big chunk of the scoring,” Coach Houghtaling said. The Lady Bulldogs will now have a much-needed down stretch before resuming their slate Dec. 6 against Ruidoso in the first round of the City of Champions Classic. “I’m pretty excited about having six days of practice before we play again,” Houghtaling said. “We’re going to take that time and kind of go back to Square One, which we had to skip last week because we had too much to get in before we played a game.